Forest School is holistic learning through play and exploration; children learn about the natural environment, how to handle risks and to use their own initiative to solve problems and cooperate with others. During Forest School children will build a shelter, light a fire and use green woodworking skills to create and build objects from the woodland around them. They will use full size tools; learn the boundaries of behaviour, both physical and social, establish and grow in confidence, self-esteem and motivation. Forest School started in the UK in 1993 when a group of nursery nurses from Bridgewater college in Somerset visited Denmark to look at the pre-school system. Inspired by what they saw they started their own Forest School with children who attended the creche . In 1995 the college developed a BTech in Forest School and started to offer it to early years practitioners in particular. Many involved in outdoor learning saw this as something that built on the UK’s outdoor learning heritage and soon Forest School was being offered around the UK. 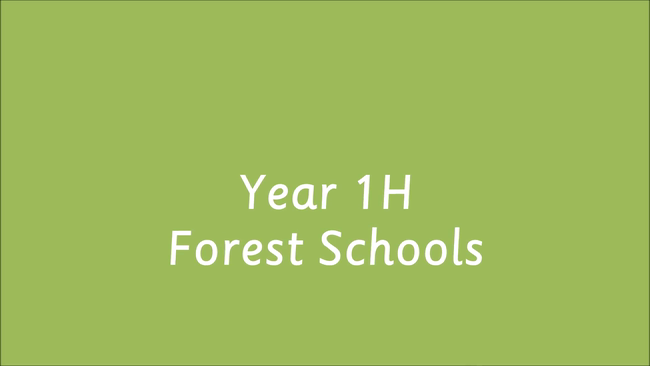 Click on the video link below to find out more about Forest Schools at Holy Trinity! Introduction to Forest Schools Our school has started venturing outside for lessons, clubs and more. Find out more about what it means to be a Forest School. Year 1H Forest School Fridays! Here is a selection of photographs from last week! If you have any questions regarding Forest Schools which have not been answered on this page please contact Miss Jackson using the form below.